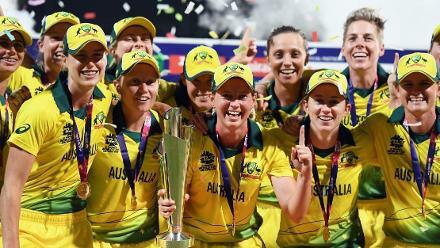 Australia won a record fourth ICC Women’s World T20 title with a comprehensive eight-wicket win over England at the Sir Vivian Richards Stadium in Antigua on Saturday. 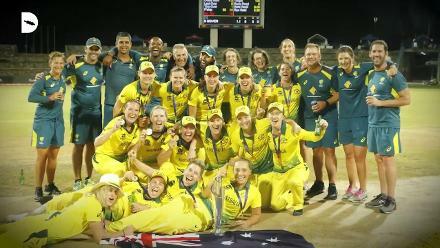 Australia won a record fourth ICC Women’s World T20 title with a comprehensive eight-wicket win over England at the Sir Vivian Richards Stadium in Antigua on Saturday. Under lights and in front of more than 10,000 spectators, Australia took wickets regularly to strangle England, and then waltzed to a win. 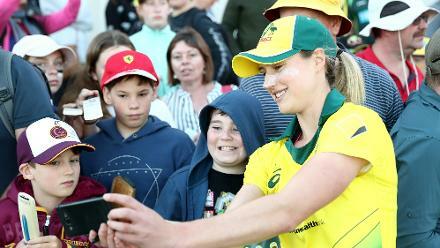 Georgia Wareham,19, starred in the field for Australia: she was on a hat-trick, affected a direct-hit run-out, and took a catch amidst a rare sloppy Australian fielding effort; they dropped five catches, three of them straight-forward. Ashleigh Gardener then took home the Player of the Match award, hitting three sixes in the chase to build on a solid bowling effort. It gave Australia their first ICC trophy since 2014. Winning the toss, England chose to put runs on the board, but could not string a partnership of more than 23 in their innings. Opener Danielle Wyatt was the common thread in four of those partnerships as she put on an enterprising 43 (37b, 5x4, 1x6), looking particularly dominant when hitting over mid-off. Wyatt set the tone for England, taking 11 runs off the first over, but on a pitch that didn’t have the turn of two nights ago, Australia used their fast bowlers to rein things in. The pacers took two wickets in the first seven overs, the second of those giving Ellyse Perry her 100th T20I wicket, making her only the second player to breach that mark. Perry should have had the wicket earlier, but Alyssa Healy put down an outside edge off the bat of Wyatt, the second of three lives the batter received. Wareham compensated by running out Amy Jones with a direct hit from midwicket in the fifth over. The evening saw more such up-and-down fielding from Australia, but a smart catch from Meg Lanning in the 11th over finally saw the back of Wyatt. .
Wareham then took over: After conceding just one run off the bat in her first over, she took two wickets in two balls in her second, the 13th, to leave England tottering at 74 for six. 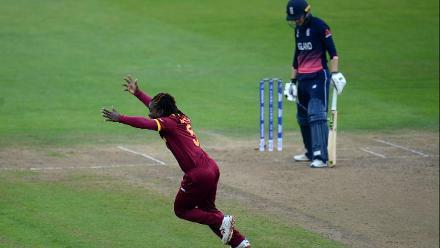 Despite captain Heather Knight’s rearguard 25 (28b, 1x4, 1x6), England were bowled out for 105 in the last over, with no other batter crossing double figures. Ashleigh Gardener claimed three for 22, including the wickets of Wyatt and Knight, to claim the best figures by a spinner in a World T20 final. Despite the small total, the festive crowd cheered every boundary the Australians hit in reply. They lost the fluent Healy in the Powerplay, but not before she has built a partnership of 29, scoring 22 (20b, 4x4) of those. Gardener (33 not out, 26b, 1x4, 3x6) and Lanning (28, 30b, 3x4) then finished the job, with Lanning scoring the winning runs off the first ball of the 16th over. Australia have consolidated their top-spot in the MRF Tyres ICC Women’s T20I Team Rankings, while England have improved their pre-tournament position of third, overtaking New Zealand to move into second spot. 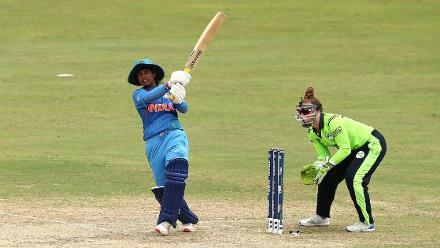 Player of the Tournament Alyssa Healy: “I’m a really bad watcher of cricket on the sidelines, but the girls played beautifully and I’m really proud of this team’s effort. “I’m enjoying playing with freedom. Our batting line-up enables us to play freely and I knew it would come off eventually. Really enjoying myself and I hope to continue in the Big Bash. 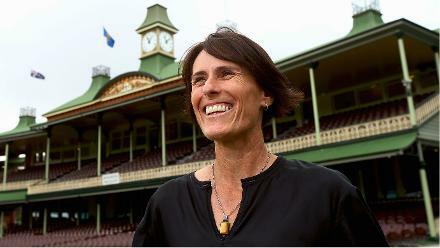 Australia captain Meg Lanning: “We probably didn’t have the best day in the field. But we came in prepared and the bowlers did a great job to create so many chances. 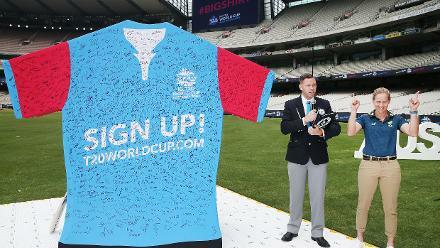 “We haven’t had success over the last two years, and the last two World Cups hurt. So we learned a lot and changed a few things. And the group really embraced that. So this is a very satisfying win.